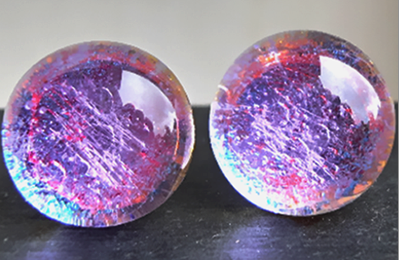 This is a selection of the round Dichroic glass stud earrings I make. 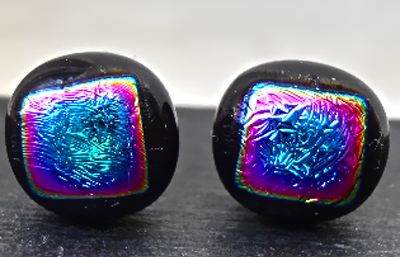 They come in black or silver card gift boxes. 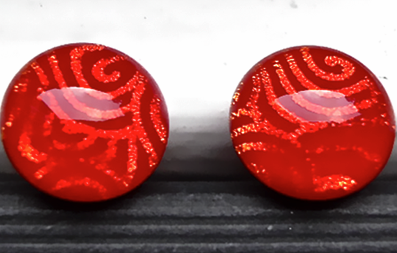 Very bright cheerful earrings made of Red translucent glass with rainbow effect Dichroic glass. 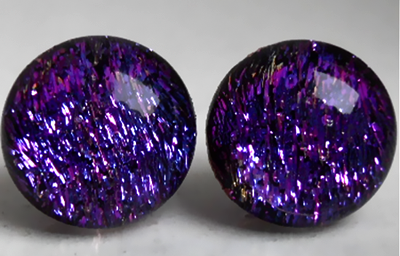 There is also a dangle version of these and a matching bangle. 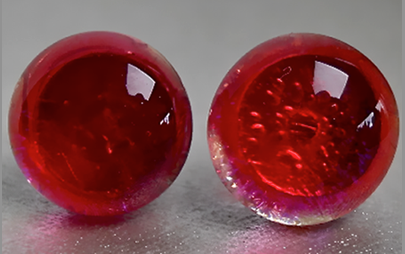 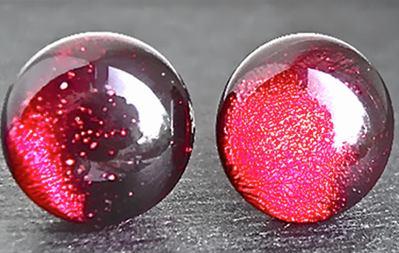 These stud earrings are made of bright Pinky Red glass. 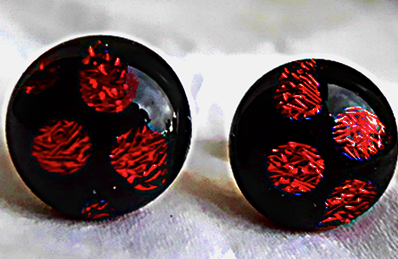 Small stud earrings, Black with Red spots of Dichroic glass. 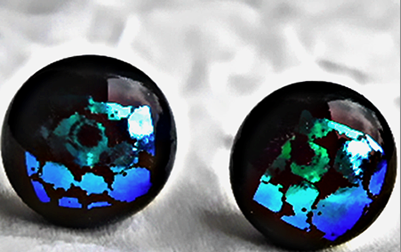 Small very cute stud earrings - Black with sparkly Dichroic glass Red spots. 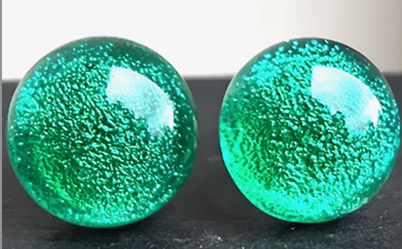 These earrings are bright Emerald Green on a textured Silver base. 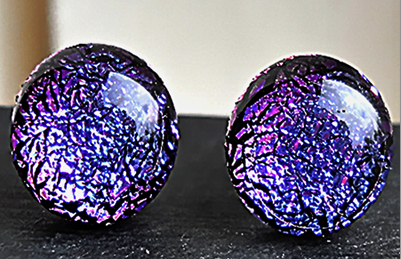 These earrings have a crackled Purple/Black texture under the clear top giving them a three dimentional effect. 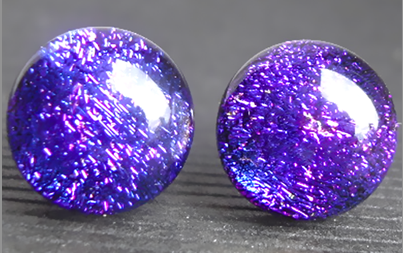 These very bright pretty earrings are pale Lilac with a Blue base. 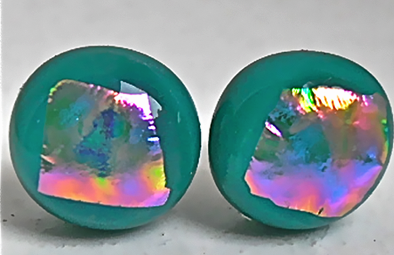 They have a matching bangle. 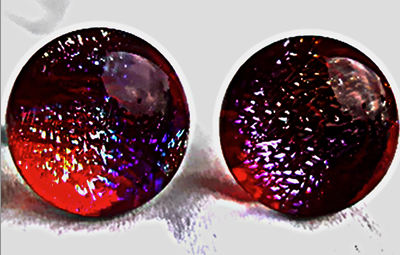 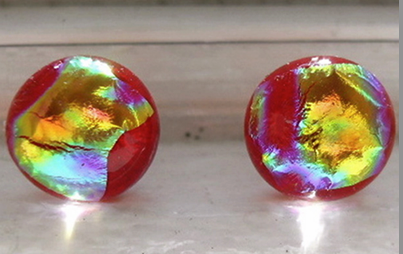 These stud earrings are made of Red Dicroic glass with a shimmery Gold pattern. 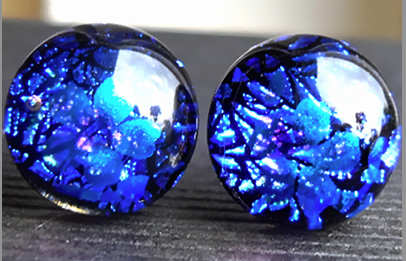 They have a matching bracelet. 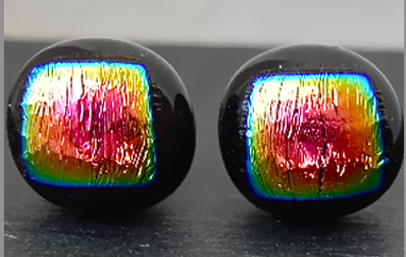 Small stud earrings which have a lovely Jade background with large Rainbow coloured Dichroic glass accents. 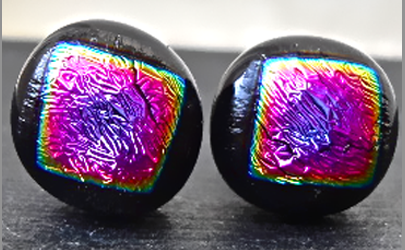 These round stud earrings are very bright and sparkly, made from textured Magenta/Blue Dichroic glass.